As the most famous Frisian bridal couple ever, Rembrandt and Saskia form the central theme. Their story is at the same time the story of a ‘high-society marriage’ in the seventeenth century and spans all phases, from courtship to the drawing up of a will. What precedes the most important step in a lifetime and what does such a fancy wedding involve? What value is attached to marriage and how does life unfold after the wedding when love and suffering must be shared? 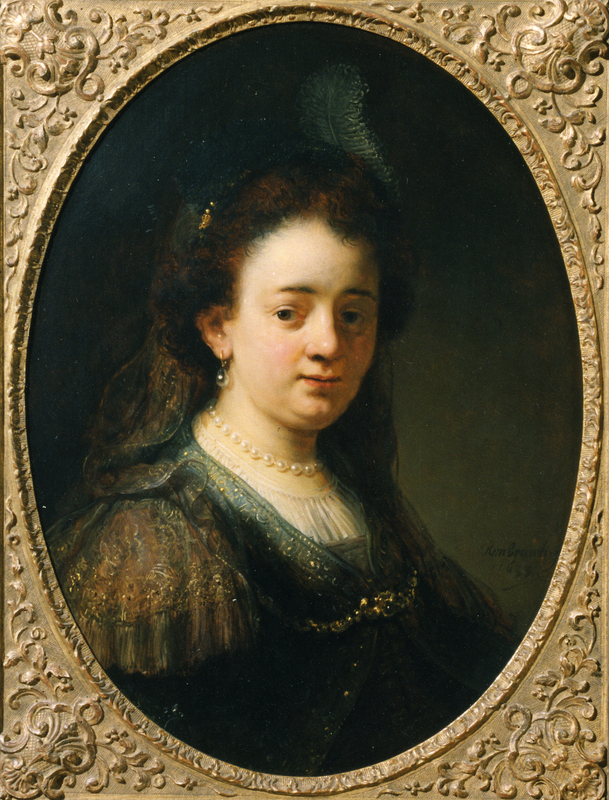 The exhibition places the lives of Rembrandt and Saskia in context. We combine the portraits with objects and true stories and personal documents. In this way we can paint a very complete and realistic picture of marriage in the Dutch Golden Age. Based on the lives of Rembrandt and Saskia, visitors discover that marriage vows at that time scarcely differed from those exchanged today. Rembrandt van Rijn married Saskia Uylenburgh, the love of his life, in Friesland in 1634. Saske, her Frisian baptismal name, was born in Leeuwarden and grew up there as the daughter of a wealthy upper middle-class family of landowners. The painter met her in 1633 while she was visiting her cousin Hendrick Uylenburgh in Amsterdam. At the time Uylenburgh was Rembrandt’s art dealer and may have been the person who predicted a golden future for the couple. In June that same year, the enamoured couple became engaged during a stay in the Frisian village of Sint Annaparochie for the baptism of one of Saskia’s nieces. 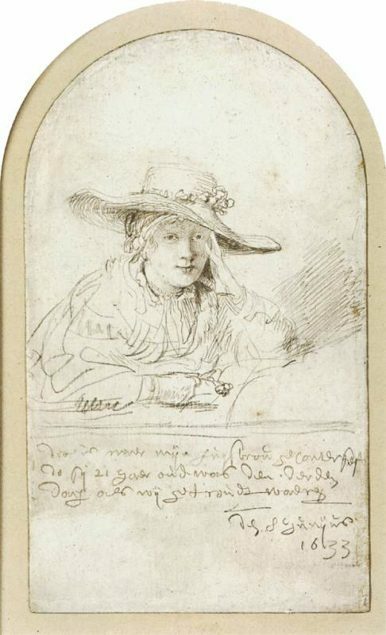 Rembrandt’s very first drawing of Saskia was a keepsake of the day of their betrothal, most likely for himself, as demonstrated by his own text underneath her portrait. A year later, they returned to Sint Annaparochie for the actual wedding, celebrated in the stately home of her sister Hiskia and brother-in-law Gerrit van Loo. Their love lasted just ten years. In those years they had to bury three of their newborn children; only the fourth, Titus, survived, but his mother didn’t get to see him grow up. Saskia died in Amsterdam not long before her thirtieth birthday.